Number : Season 6, episode 7 of 7. Which One : Troughton’s finale. First UK Broadcast : 19 April – 21 June 1969. Length : 10 x 25 minute parts. Plot : The Doctor, Jamie and Zoe uncover a plot by a renegade Time Lord, involving the stealing and pitting of different time period Earth soldiers in battle – against each other. With the survivors forming a super army, to wage war through time-and-space. Whats good : Troughton’s last episode is an all out blast. Contender for greatest ever episode. Epic. Troughton. Edward Brayshaw. Philip Madoc. The Time Lord references. The Time Lord’s First Appearance. The trial. The regeneration ending. Whats bad : That Troughton’s reign had to end. 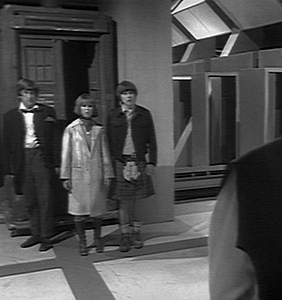 Review With Spoilers : The War Games is the seventh and final episode of season 6 and the final episode of the Troughton era. The Doctor discovers a plot by a renegade Timelord, to train up a super-army; featuring soldiers from different time-periods. The soldiers are being pitted against each other in war-zones and the winners are then selected to form a super-army. After defeating this plot, the Doctor summons the Timelords to help return the victims to their respective time-periods. However, the Timelords decide to put the Doctor on trial for stealing a Tardis and intefering with Earth development. Troughton’s last episode is a mini-epic at 10 x 25 minute parts. It is essentially a morality tale about the use and abuse of human life – for supreme power. The War Chief; is expertly played by Edward Brayshaw, as a renegade Timelord (and possible contender for an earlier regeneration of the Master??). His scenes with Troughton, as they recognise and banter their shared past; are joy to watch. Especially, as we begin to learn more about the Tine Lords. Also appearing briefly, is Who regular Philip Madoc – who brings value playing the War Lord. A bearded and cold alien overlord of the War Games. It is interesting, watching the resulting powerplay between the War Lord, War Chief and Security Chief. Special praise has to goto Troughton himself who acts his socks off in this one. Towing the line between liberator of the War Games and collaborator to the proceedings – to manoveur and save his companions and his friends. Once having dealt with the War Games. The Doctor risks his own freedom, by calling in the Timelords to return all of the surviving soldiers to their own time periods. Knowing full well, that the Time Lords will take the Doctor into custody. As a result, the Doctor is put on trial and despite mounting a spirited defence, is found guilty. His punishment, is Earth exile without a functioning Tardis and he is sent spinning into a void with his next regeneration kickstarted. A great cliffhanger ending. It is also sad end for the Doctor’s companions aswell. As long-serving companion; Jamie and Zoe are sent back to their own time periods, with their minds wiped of their Tardis travels. Troughton’s time ends on such a downer but this is down to such good writing. It really feels like it is; i.e. The end of an era. Troughton again, shines in this segment – in this one. Especially at the trial. This episode was the only episode to use a regeneration (referenced in this as “a change of appearance”) – as a cliffhanger to the next episode and season. The viewer would then have to wait until the following season, to find out who the new Doctor was. It was a great way to end the Second Doctor’s era as unresolved, rather than the normal practice of briefly introducing the new incoming Doctor. This was also the first direct mention and subsequent appearance of the Doctor’s home race; the Timelords in the show. The disabled Tardis sub-story, would form the backstory to the first 3 seasons of the new Pertwee era. 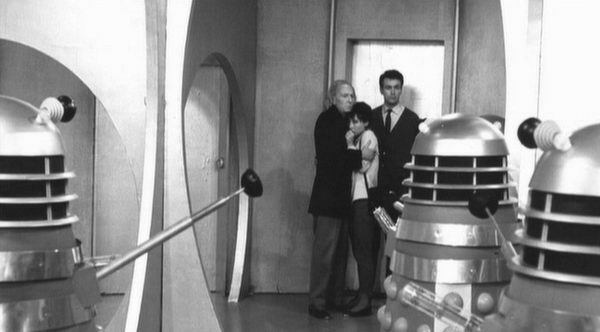 The War Games was also the last episode of Who to be broadcast in black and white. The following season 7 – with new Doctor Jon Pertwee, was in colour. A definite high point from Troughton’s era and possibly the greatest ever epsiode of Who. A fitting send off for the cosmic-hobo Doctor.